Fox News host Chris Wallace leveled sharp criticism in an article published Thursday against some of his colleagues who have echoed President Trump and used their perch at the network to attack the media as "fake news." Speaking to the Associated Press, Wallace said, "It bothers me." "If they want to say they like Trump, or that they're upset with the Democrats, that's fine," Wallace continued. "That's opinion. That's what they do for a living." "I don't like them bashing the media, because oftentimes what they're bashing is stuff that we on the news side are doing," he added. "I don't think they recognize that they have a role at Fox News and we have a role at Fox News. I don't know what's in their head. I just think it's bad form." The comments from Wallace, who hosts "Fox News Sunday" and is widely considered to be one of the main faces of the Fox News' hard news division, represent perhaps the most searing criticism the network's opinion division has faced in recent memory from a colleague. A Fox News spokesperson did not respond to a request for comment. 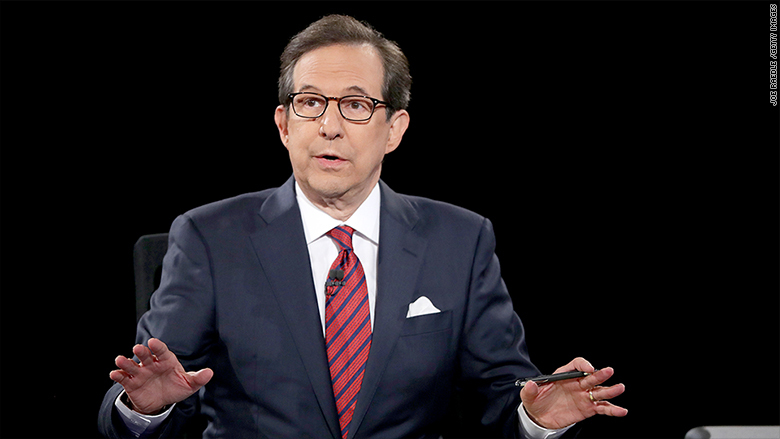 Wallace has not shied away from defending journalists from the network's opinion hosts in the past. Earlier this year, Wallace rebutted pro-Trump "Fox & Friends Weekend" host Pete Hegseth when he complained about media "hysteria" surrounding the firing of former FBI Director James Comey. At the time, Wallace quipped back to Hegseth that it was a "big story" and "a legitimate story to cover." With his barrage of "fake news" attacks, Trump's rise to the White House deepened an existing rift between the network's opinion hosts, like Sean Hannity, and its hard news anchors, like Wallace. It's quite common to hear opinion hosts, who dominate Fox News' prime time lineup, routinely trash news reports critical of Trump and, more broadly, the mainstream media as a whole. Hannity, who is the highest-profile personality most guilty of this, has devoted large swaths of his show over the past year to delegitimizing the media at large. He regularly focuses his opening monologue on assailing the press.